UP TAB® Restaurant works with the epiway™ mobile app* to easily manage and assign delivery orders. Order details are sent with each delivery assignment to ensure timely and accurate service, while restaurant owners can check the real time status of each delivery. 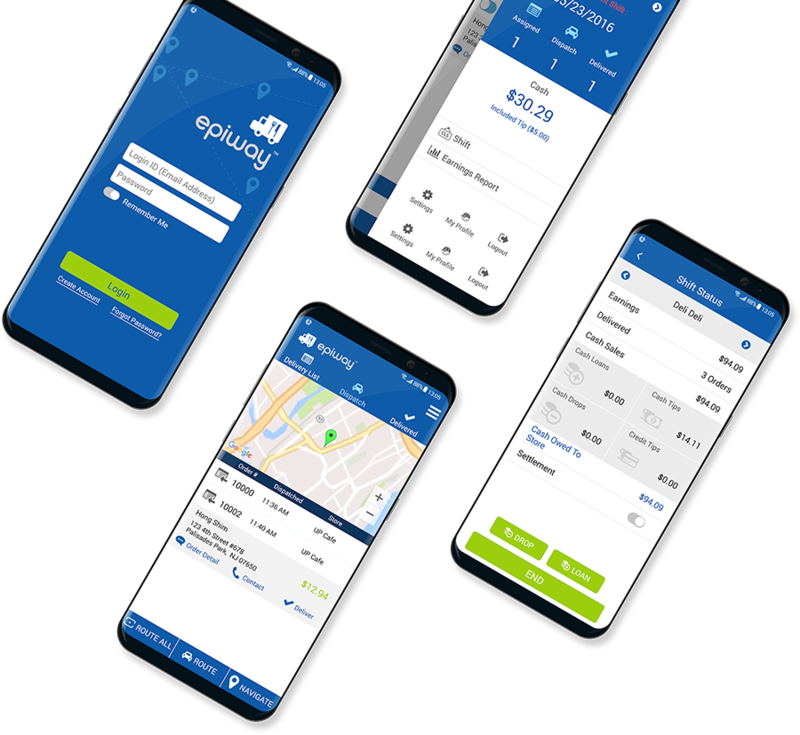 epiway™ is an excellent companion to our epipay™ online ordering solution. The integrated GPS feature can plan the most efficient route for multiple deliveries. With the U PAYm™ mobile payment dongle, drivers can accept card payments right from the app. *Currently available for Android™ smartphones. To be kept up to date on our products, services, promotions, and upcoming events, please subscribe to our e-mail list.